Exclusive! Our Christmas Tree Tote is perfect for on-the-go elves! 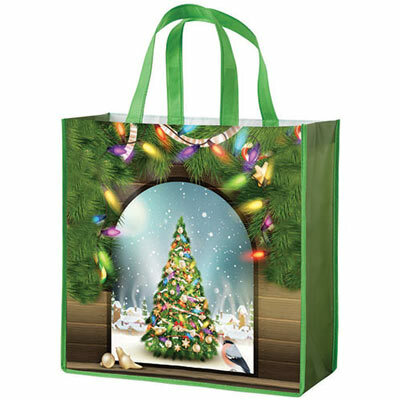 Tote features a full color tree image bedecked with seasonal baubles. Non-woven polyester coated for easy cleaning. Imported. 14"w, 12" handles.